SoftPlanet makes it possible for everyone to get free 3DP Chip download directly from our servers. There is no registration needed for downloading. As you probably know having the latest drivers for your devices is crucial for your system performance. Unfortunately, it takes a lot time to keep your system up to date. Fortunately, now you don't have to do it on your own. 3DP Chip v15.02 will take care of this important task instead of you. Besides simply finding your drivers, you are also able to backup your files, in case something wrong happens with your system. Of course, you can restore them too. 3DP Chip v15.02 supports more than 25 different languages such as English, Chinese, Croatian, Dutch, French, Italian, Russian, Spanish, etc. Basically, this utility can find and update the latest version of your drivers if there are such with minimum effort on your behalf. 3DP Chip comes with a minimalistic graphical user interface. It looks very simple, yet classy, thanks to its well-balanced color scheme. 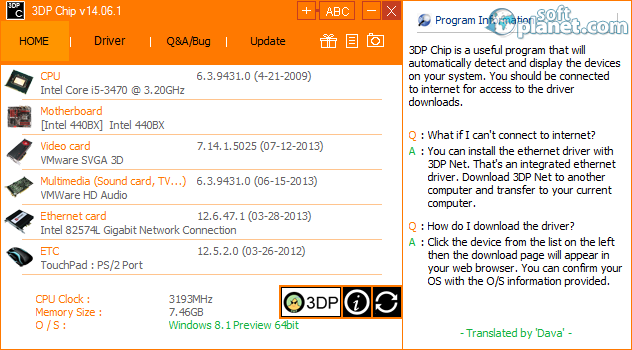 3DP Chip comes with four menu options – HOME, Driver, Q&A/Bug and Update. Right in the top-right corner next to the Minimize button, you will find two buttons - “ + ” and ABC. The first one enables you to create a translation of the app in a particular language and thus you can contribute for improving the app even more. 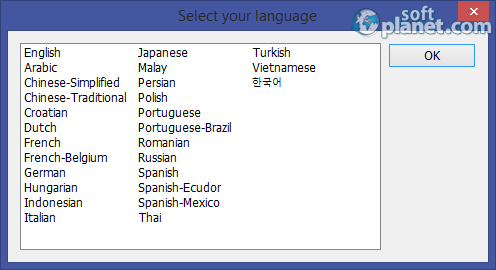 By clicking on the ABC button, you can choose among 25+ interface languages. 3DP Chip might look a bit old school, but you don't definitely have to underestimate it. Try it first before start judging it. It does a great job. Most buttons and links redirect you to different webpages, where you can i.e. 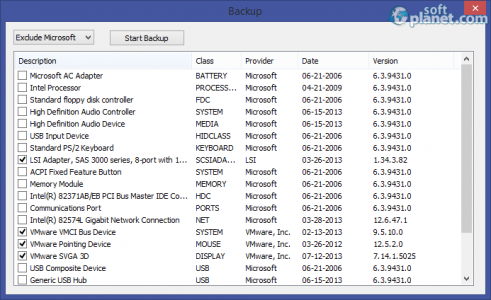 download the latest version of a particular driver. 3DP Chip v15.02 is simple, yet efficient software, which will save you much time for finding the latest update for your PC configuration. Please give it a try. We look forward to your feedback. Our security scan shows that 3DP Chip is clean from viruses. The current version of 3DP Chip has been scanned by our system, which contains 46 different anti-virus algorithms. That ensures that 3DP Chip v15.02 is 100% safe for your computer.